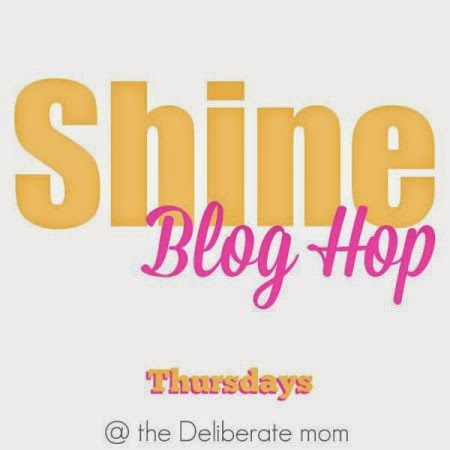 So I've mentioned the SHINE blog hop hosted by The Deliberate Mom a few times here- have you been over to check it out? It's a really great way to find new blogs and connect with other women, families, and bloggers. What does that have to do with my Thursday Surprise? You'll just have to stop back by on Thursday to find out!